Tour Collective Museum, the campus-wide art project by Harrell Fletcher, Molly Sherman, and Nolan Calish of the artist-group Public Doors and Windows, at iascollectivemuseum.com. Collective Museum is a surprising and vast campus-wide installation and walking tour which re-envisions the university as a museum. Through distinct signage and a mobile website, it creatively highlights stories contributed by faculty, staff, students, and alumni about 50 sites on campus. The tour takes visitors to sites as diverse as the oldest tree on campus, one of the first gender-neutral bathrooms on campus, a rooftop garden, a carousel on campus used in Physics classes, and even the room where the first meeting about sequencing the human genome was held. With this diverse collection of sites, the Collective Museum exhibits some of the multiple and distinct stories and voices that make up UC Santa Cruz. A print-on-demand collection catalogue of the Collective Museum is also available. 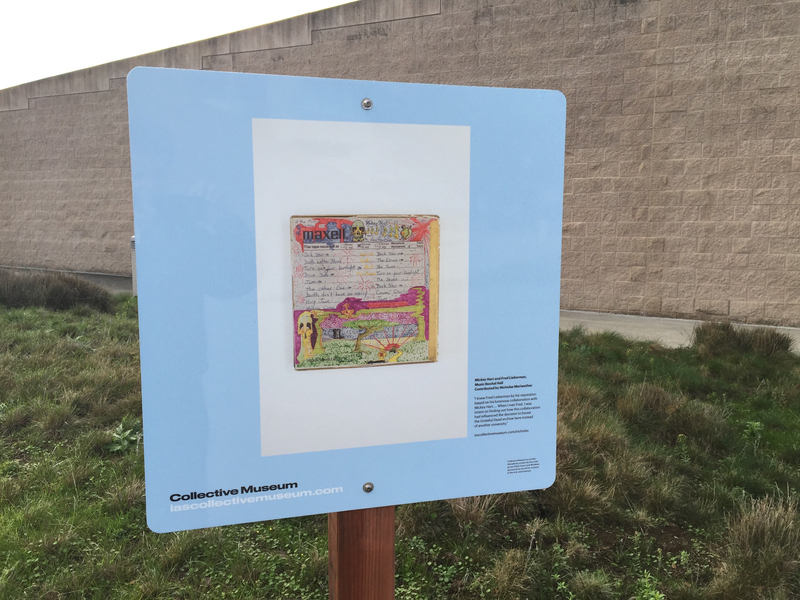 Collective Museum is presented by the Institute of the Arts and Sciences, an interdisciplinary exhibition and event forum in the Arts Division of the University of California, Santa Cruz. The IAS's mission is to harness the creative power of the arts and the sciences to explore big questions and critical issues of our time. It contributes to the cultural life of UC Santa Cruz and features the work of nationally renowned artists and groundbreaking scientists and scholars. The IAS offers a range of public programs, sponsors residencies, and curates and organizes an ambitious exhibition program. Collective Museum is sponsored by the Nion McEvoy Family Trust, the UC Institute for Research in the Arts, Rowland and Pat Rebele, Jock Reynolds and the Alumni Fund for Visiting Artists, and annual donors to the Institute of the Arts and Sciences.